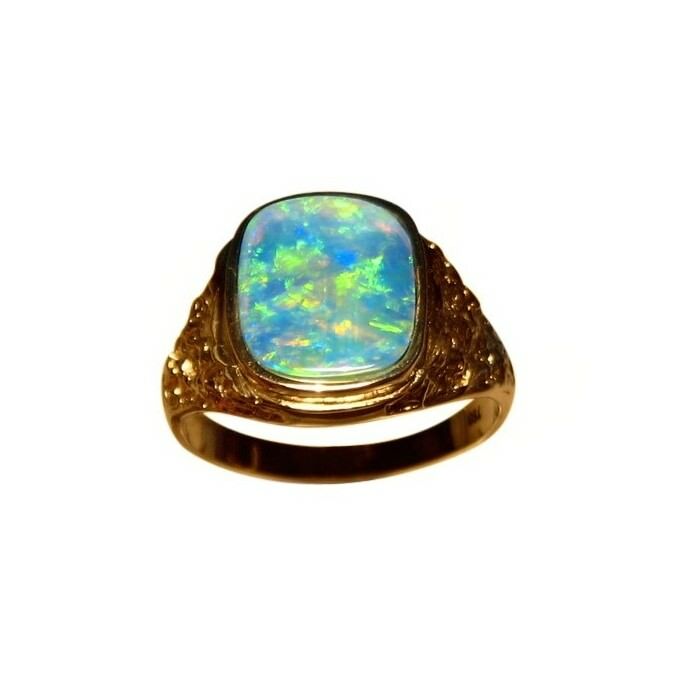 Mens Opal ring in 18k Gold with a wide textured band set with a square cut Opal. 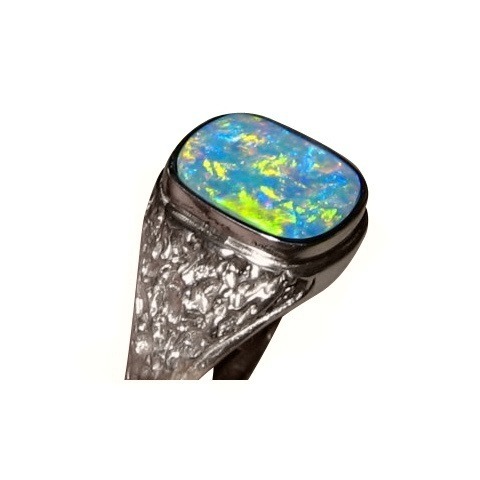 A quality mens Opal ring in a wide textured band of 18k Gold set with one square cut Lightning Ridge Opal. 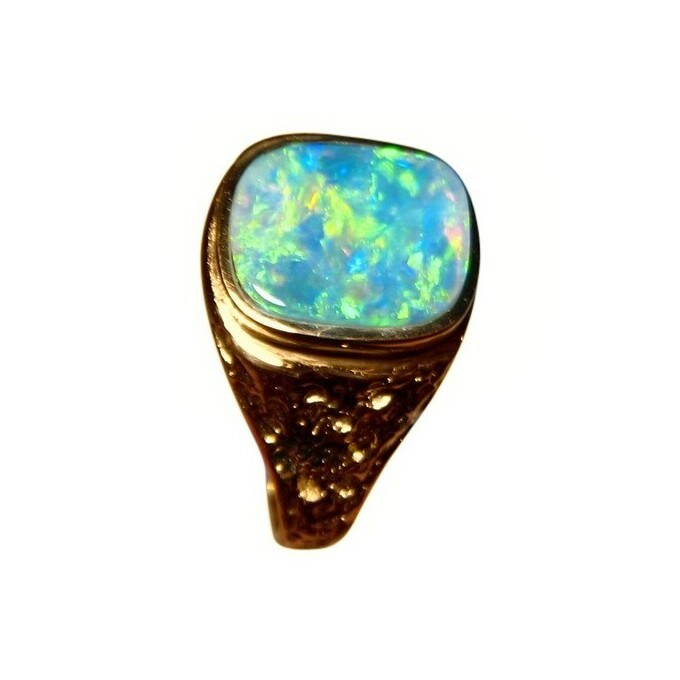 The Opal is about 2.5 carats and shows soft tones of Green, Gold and Blue that are bright and the Yellow Gold highlights these colors. 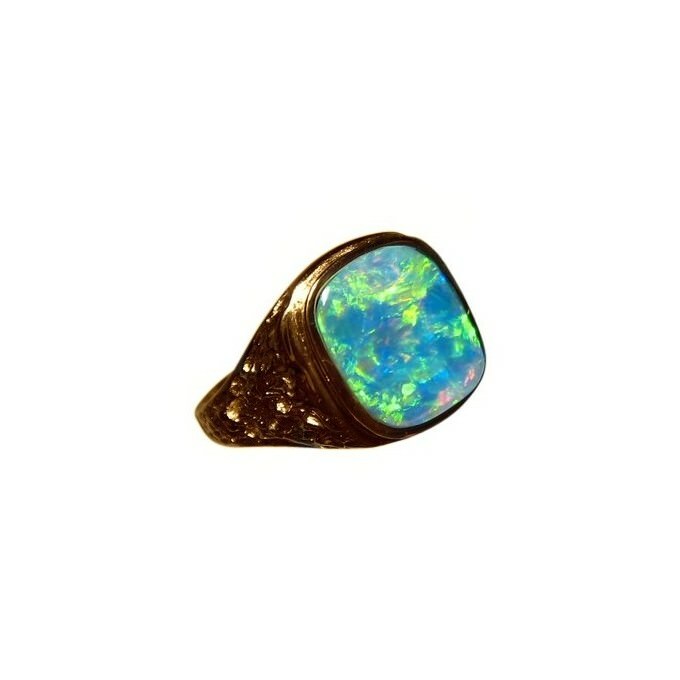 A substantial Opal ring that weighs approximately 7.5 grams of 18k gold and is just over half an inch across. 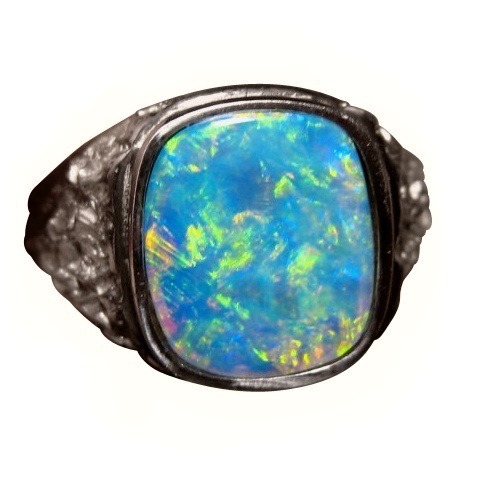 It is a stylish and masculine Opal ring for men that has been sold but if you would like a similar Opal ring Made to Order based on the images, contact through this product to ask about availability. Please note, the last three images show a ring that was made for a customer based on the first four photos and this is to give you an idea of what a similar ring will look like. 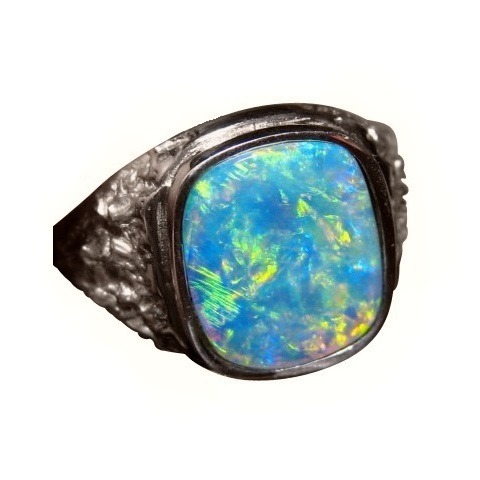 The ring can be made in any ring size however for sizes 12 and over, please contact us for pricing using the link above.